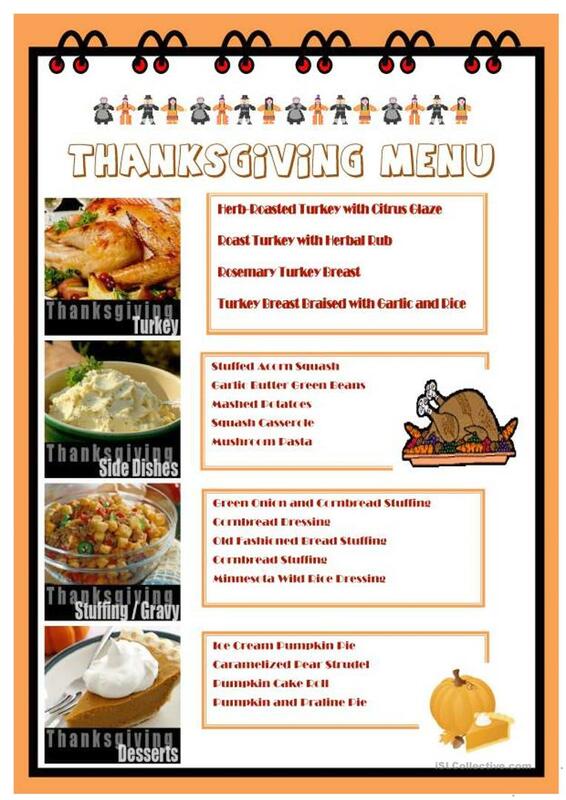 Use this menu for a role play, for translation or to teach about Thanksgiving food of today. The above printable, downloadable handout is a great resource for business/professional students and high school students at Pre-intermediate (A2) level. It is useful for enhancing your groups' Speaking and Reading skills. It features the theme of Thanksgiving.